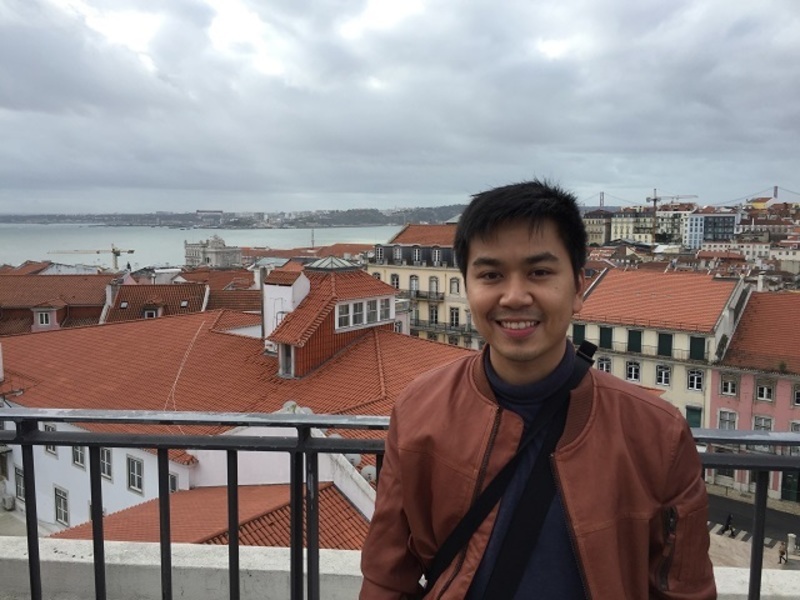 We’ve had the chance to talk to Bowdy Ragas, a Filipino expat who has moved to Singapore alone. Mr.Ragas who has been living there for more than half a decade, now works as an IT manager. Read more about his experiences in the full interview below. A: I was born and raised in one of the most eventful and thriving cities in Metro Manila, Philippines. The Quezon City area used to be the country’s capital and is better known for its activity-filled streets, deliciously inexpensive foods, and talented singers – practically everyone can sing a tune, or play a musical instrument. I lived here for well over two decades, before finally moving to the tiny red dot of South East Asia. Q: What made you move out of the Philippines? A: I always dreamt of living, traveling, and working abroad, ever since I embarked on my first out of the country trip to Singapore, way back university days. Seeing how advanced, how clean, and how multi-cultured Singapore is, the idea of living abroad suddenly made sense. After graduation, I pursued jobs that allowed me to travel around Asia, and one thing led to another, I found myself accepting a career opportunity to work in Singapore. A: Currently, I am based in Singapore. This has always been my first choice, after my first visit here in 2006 when I fell madly in love with the multiculturalism and dynamism of this country. A: More than half a decade now. Wow, time flies so fast – it has been that long already? I was able to move around and live in several parts across Singapore; now, I am staying in the Upper East (literal) side of Singapore known as the Tampines area. A: I am living alone, and I have my closest of friends, both in the office and outside work, whom I consider as family. The crescendos of living an expat lifestyle alone have its ups and downs, but overall, if you have sets of people with you who treats you as a family, then all is well. A: Yes, sometimes and always. I always see to it that I fly back regularly --- bare minimum, at least twice a year --- to make sure I have a healthy dose of closeness and bonding experiences with my loved ones. Moreover, I’ve learned to appreciate and never underestimate the power of the internet, because even in small ways, it can be coping mechanism for homesickness --- in just one Skype call, you can be closer to home. A: The demographics in Singapore are probably unlike any of the ASEAN countries that you will discover. Singapore is a multiracial and multicultural country where the majority of which are ethnic Chinese, followed by indigenous Malays and ethnic. They also have Eurasians here. For this reason, you’ll appreciate the quality of locals you’ll meet and be friends with. A: It proves to be quite effortless to make friends and meet people here in Singapore, mainly because of the culture itself. As they are multiracial and multicultural by default, they are more than welcoming to socialise with anyone who wants to make connections. I am quite fortunate since when I moved to Singapore, my closest sets of friends are already here; I was able to draw social circles within and outside work due to the connections from other friends I had as well. A: Fact is, the cost of living in Singapore, in general, is incomparably high compared to my home country. From food, housing, clothes, transportation, personal care, and entertainment, every item – big or small – is expensive. You must have a survival level of financial literacy to manage your monthly cost of living if you want to maximize your salary and savings, when in Singapore. A: A cup of Joe would average from 1.30 SGD to 6.50 SGD, depending on where you will buy the caffeine fix. I’d recommend going for the local cafes, not only because they are relatively cheaper, but also because they taste authentically better. A: The reasonable range would be from 10 SGD – 20 SGD. You’ll most likely get one decent (and delicious) meal in an inexpensive restaurant somewhere within the city centre. Be sure to scour the best blogs in Singapore for some inside dibs on where to find those. A: Singapore is known for having some of the most lavish restaurants across Asia. Having said that - be prepared to spend at least 30 – 100 SGD per meal! But rest assured, you’ll be able to taste some of the most heavenly meals on earth. A: Opening a bank account in Singapore is like opening a new Facebook account, it’s that convenient. So, no need to worry about the long processing times, or the innumerable number of required documents. Once you are already legit future expats, opening a bank account in Singapore will be very easy for you --- will only take a day to do so. A: Government paperwork in Singapore is one of the most efficient and effective that I have seen and heard of. There is practically nothing to complain about! #FirstWorldProbs They are thorough but not in a way that will give you too much hassle. A: Healthcare in Singapore is expedient and unfailing. If you become and expat in Singapore, you will be offered by a company sponsored healthcare card and insurance that will make your health needs easier to tackle. You can just go to a hospital or clinic that is recommended by your health card, and have your needed checkup without paying for anything! Q: Did you secure a health insurance in the Philippines or Singapore? What should be the essentials in the coverage for expats, in your opinion? A: Securing a health insurance is a nice-to-have on top of the company offered health insurance. Not only will this guarantee superfluous coverage in case of emergency, but it will also enable expats to have more choices and coverage. Likewise, I think the bare minimum for expats, whether they are single or married, is to have a company that offers them medical coverage. Otherwise, they can always purchase something over here in Singapore that can be paid on a monthly basis while they are here. Q: What was the most memorable about the packing and moving process to Singapore? Which was the mover you chose and how was your experience with them? A: Packing and moving were relatively easy since DHL was very reliable. If you start becoming an expat at a very young age, you tend to have fewer things and more excitement with you, which is why it took me only a day or two to complete the whole pack-to-move. Looking back, I realize I could have done it within a day! On the other hand, moving into different houses around Singapore is no joke, but that’s to all the start-up companies (i.e. Gogo Van), moving out and moving in feels a lot easier. A: Be it before, during, or after the actual move to a new host country, there is a multitude of challenges that a new expat is exposed to. From social life, relocation process, career concerns, language barriers, food, the standard of living, healthcare, to cultural adaptation, there are innumerable ways to be highlighted. Nonetheless, the biggest one is the feeling of being lonely. Loneliness is one of the toughest, roughest, and strongest tests to tackle because it can truly mean so much more than just having no-one around you! A: Moving abroad is life-changing, to say the least. Without a doubt, it can contribute to your personal growth in so many levels unimaginable. From increasing understanding, patience, independence, and life perspective, being an expat gives you all the BIG pluses. The negatives are and will always be there to keep you company, but only on a marginal level. A: Singapore is, without a doubt, one of the best cosmopolitan cities in Asia. There are more than a mouthful of activities to try out. Malls and museums are abundant. Gardens and parks are on almost every corner. There are areas for your every need – food, techie stuff, kid-friendly, or anything under the sun. Future expats should be familiar with all these daily perks while living in Singapore, but one of the best things to do is to explore Singapore’s Sentosa Island, which is packed with some seriously good stuff! A: Yes, of course – there are plans, but nothing defined, detailed, or definite yet. It would be very difficult to veer away from the life that Singapore offers for expats. On the other hand, it’s always nice to plan, because Singapore certainly knows how to open opportunities for you. A: Be sure to stop and learn to enjoy the multiculturalism of Singapore. There are infinite ways to enjoy living abroad, and Singapore will not give you a hard time enjoying and living to the fullest. Always find time to make friends with different races, because you’ll be surprised by how you can learn and appreciate their cultures and sources of happiness.